Despite considerable economic instability in the country, Turkey’s enterprise application software (EAS) market grew 4.7% year on year in 2017 to reach a value of $315.85 million, according to the latest insights from International Data Corporation (IDC). The global technology research and consulting firm’s newly released study, ‘Turkey Enterprise Application Software Market 2018–2022 Forecast and 2017 Vendor Shares’ (IDC #CEMA 43452918), shows that the Turkish EAS market will grow at a compound annual growth rate (CAGR) of 5.1% over the coming five years to reach a value of $405 million in 2022. On-premise solutions continue to dominate EAS spending in the country, with investments in these solutions increasing 4.5% year on year in 2017 to total $299.43 million. Cloud-based EAS investments increased at a faster rate of 8.5% over the same period to total $16.41 million for the year. 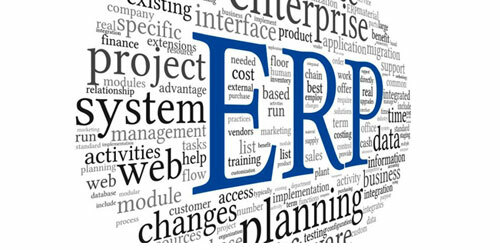 The enterprise resource management (ERM) software market totaled $172.16 million in licensing and maintenance (L&M) revenue in 2017, accounting 54.5% share of the overall EAS market. Customer relationship management (CRM) was the second-largest EAS market, totaling $66.08 million for 20.9% share. In terms of the vendor landscape, SAP and LOGO continue to dominate the Turkish EAS market (including cloud EAS revenues), with respective shares of 44.5% and 22.7%. Microsoft remained in third place with 8.2% share. From a vertical perspective, manufacturing companies (both discrete and process combined) were the largest EAS spenders in Turkey in 2017, representing 29.0% of the total market spend at $91.62 million. They were followed by the retail sector, which spent $50.11 million to account for 15.9% of the market.